Royal STEM Academy From the classroom to the world! 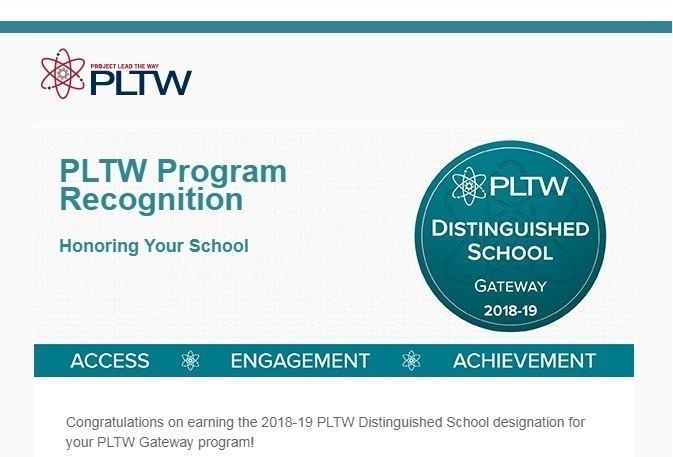 Congratulations STEM Academy and our PLTW Teacher, Ms. Ana Lopez, for earning the 2018-19 PLTW Distinguished School designation for our PLTW Gateway program! Our school is one of just 426 PLTW schools across the country to receive recognition this year.